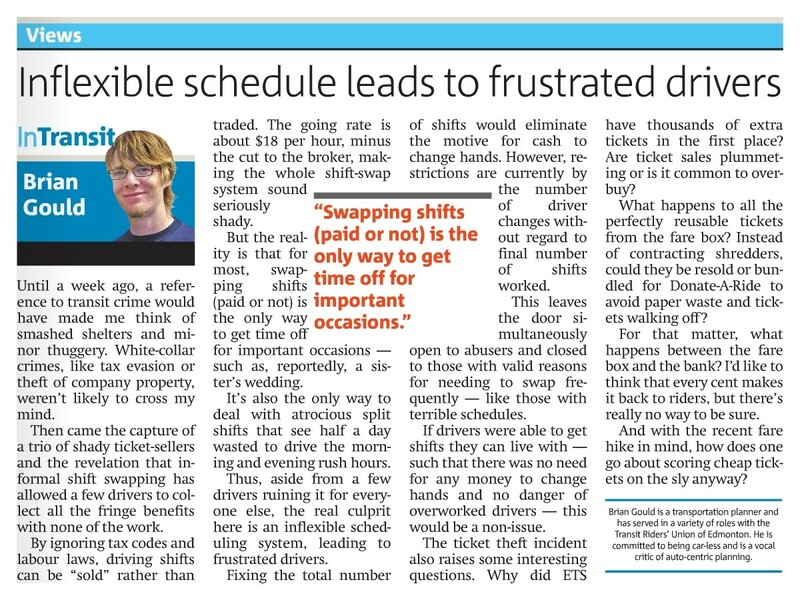 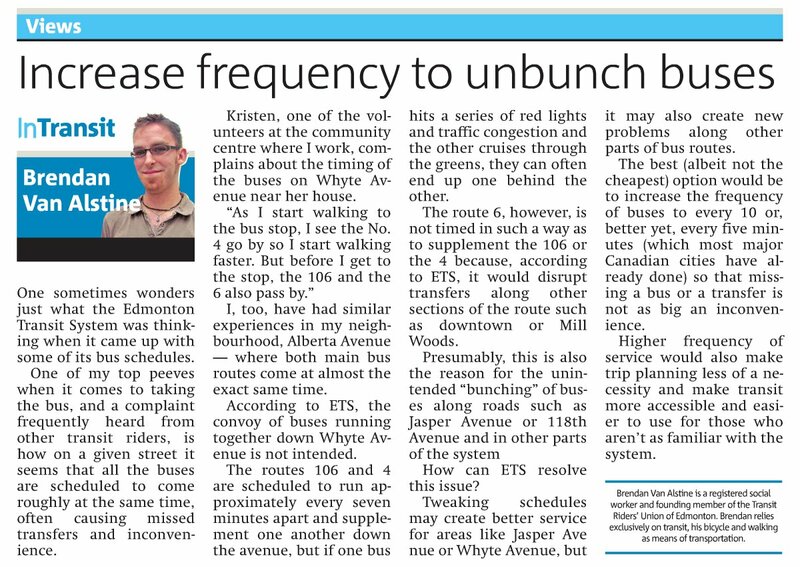 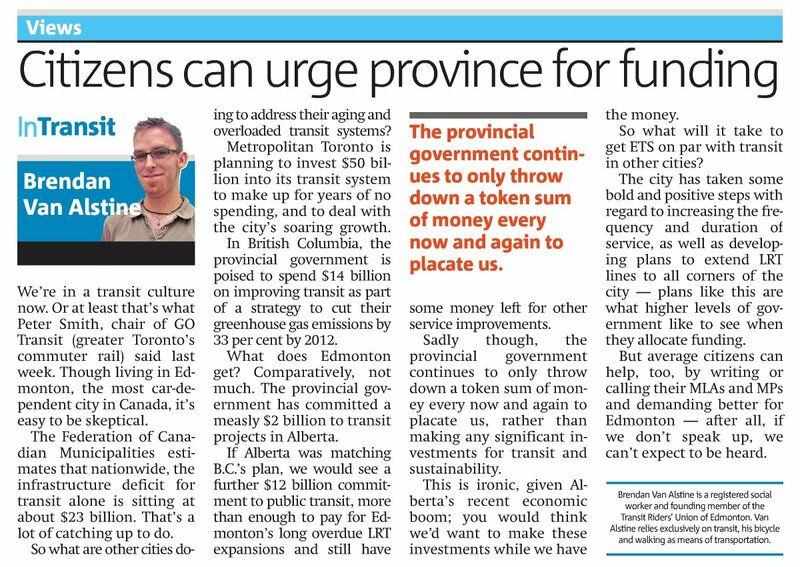 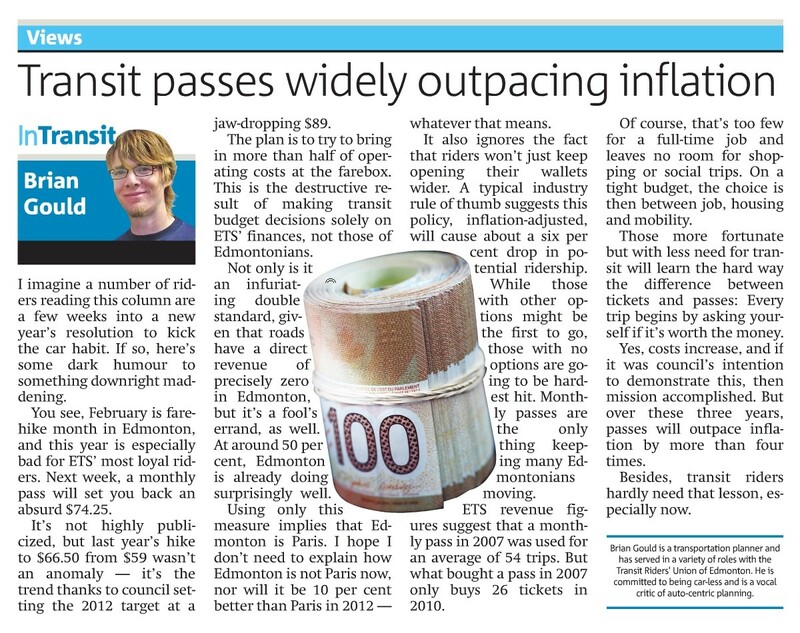 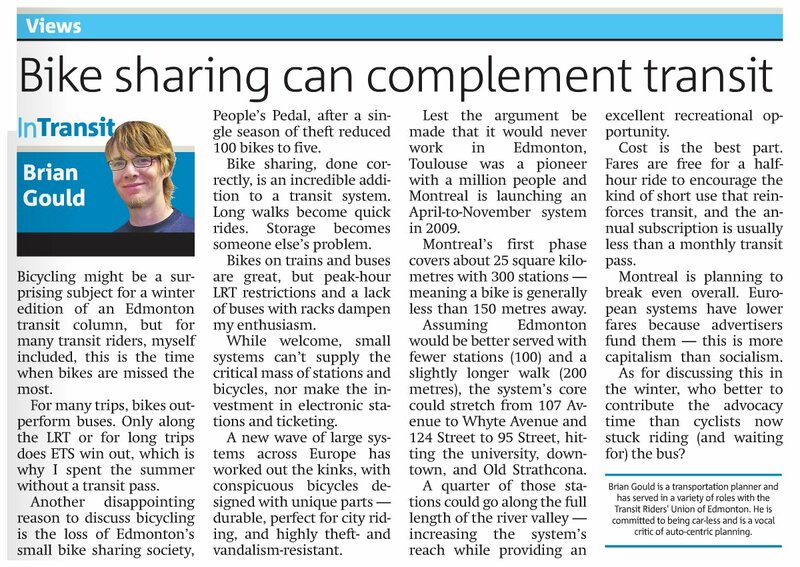 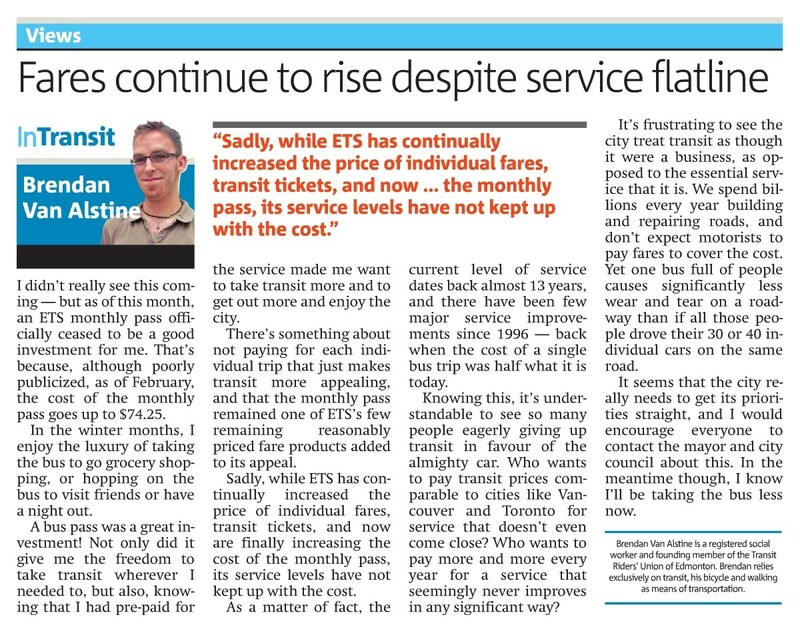 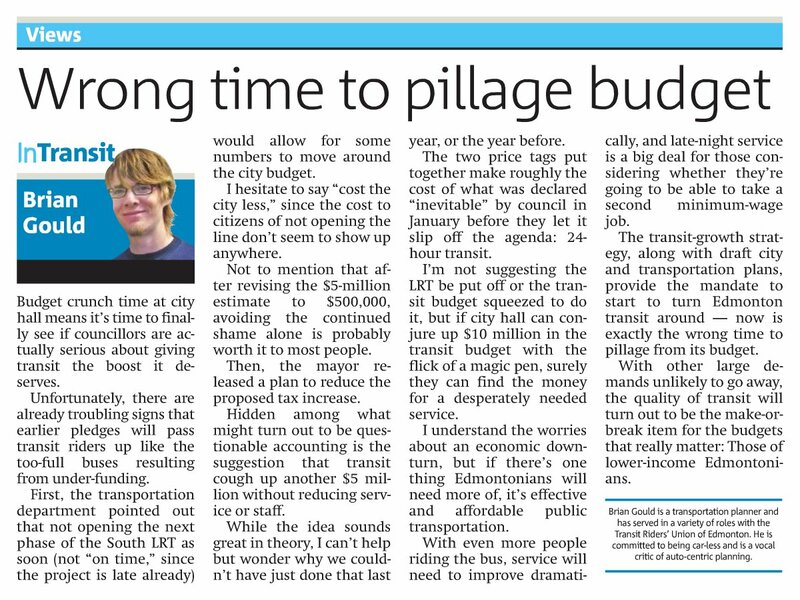 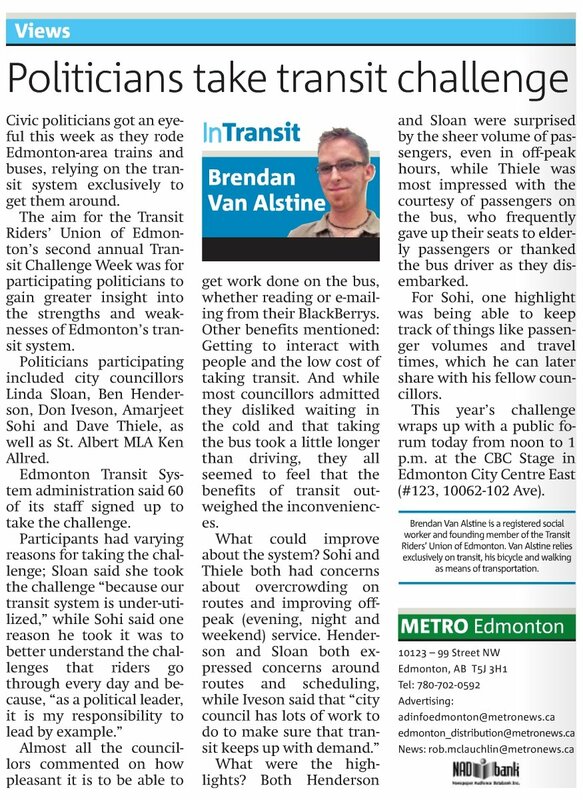 Brendan Van Alstine and Brian Gould of the Transit Riders' Union of Edmonton write "In Transit," a column about transit in Edmonton, for the free daily commuter newspaper, Metro Edmonton. 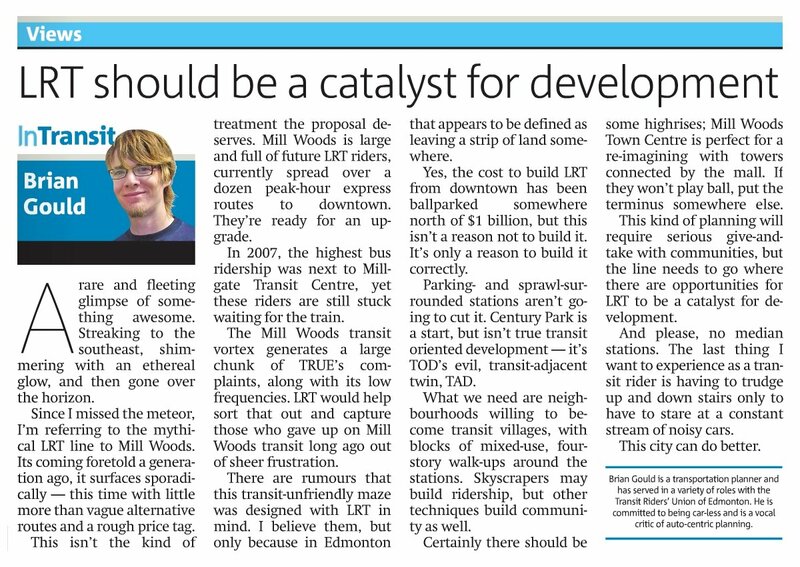 Grab a copy or check out Metro's website every Monday, or read back issues of articles by Brendan Van Alstine and Brian Gould. 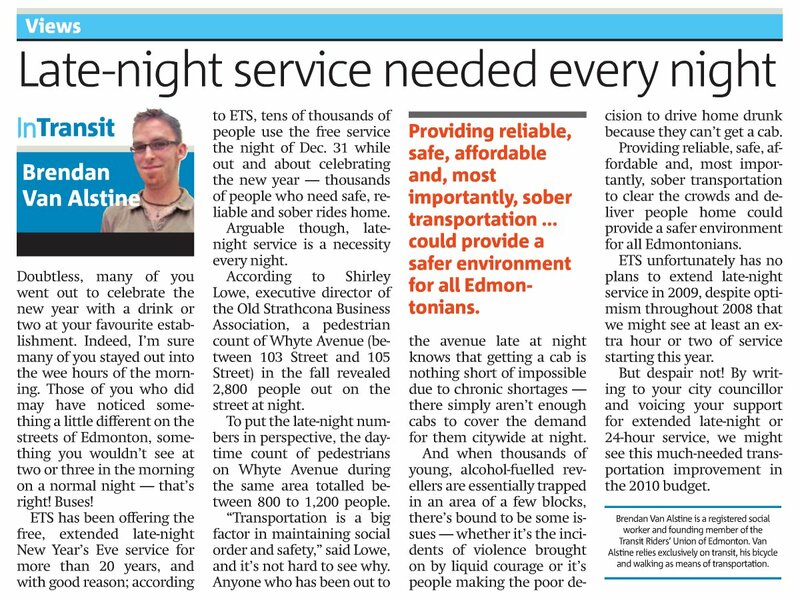 This page serves as an archive of past columns as they appeared in print. 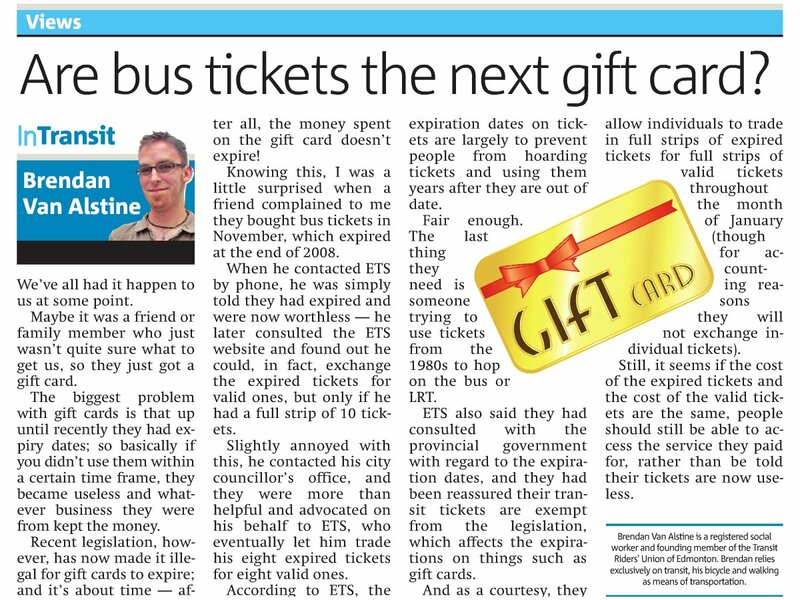 Are Bus Tickets The Next Gift Card?